Grimbeorn the Old does not exhaust to defend against Troll enemies. 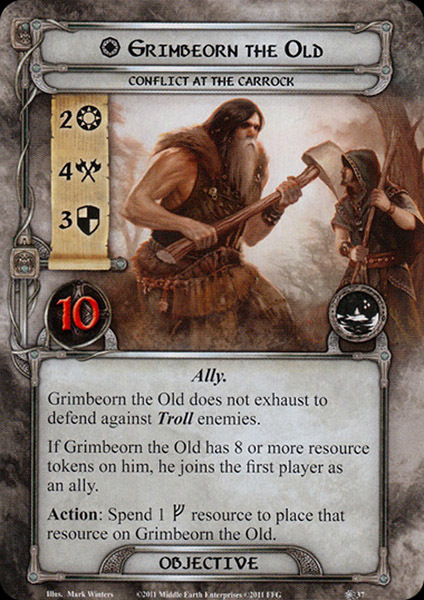 If Grimbeorn the Old has 8 or more resource tokens on him, he joins the first player as an ally. Action: Spend 1 resource to place that resource on Grimbeorn the Old.